6th Wednesday of Great Lent. You meant evil against me but God meant it for good. The calendar has been following the story of Joseph, the next-to-last son of Jacob and Rachel. The story itself is fascinating – the young brother whose interpretation of dreams aggravates the older brothers, who were already mad at him because their father favored him and his little brother Benjamin. Only Judah, from whom the name Jew is taken for the future Israelite nation, has any sense, and even he falls into the trap of the other nine who not only lie to their father about what happened to his son, but they even end up lying to Joseph about their father’s wishes after Jacob dies, in chapter 50, when Joseph weeps over their final lie. But there are several important themes and this is why the Byzantine tradition uses the Joseph story in the last week of Lent – Lent ends for us on Friday night, followed by the Raising of Lazarus and Palm Sunday, and then Holy and Great Week. First: God is at work throughout the story, not in a blaze of revelation as He will in Exodus, but rather through the actions of various people. In fact He works through the sins of some of them, as Joseph points out tonight in the reading: because of the brothers’ jealousy, he was carried off into Egypt and rose to a position in which he can save the entire People of God during the seven year famine. Second: Innocence. Joseph has done nothing wrong to his brothers – they are simply angry that he tells them the truth about his dreams, rather than asking – as people did then – are these dreams messages from God about the future? 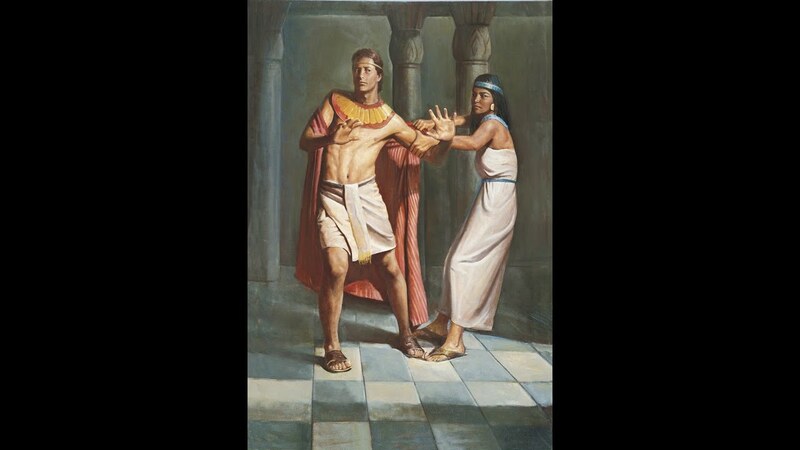 Joseph does not give in to the wife of his Egyptian master when she tries to seduce him. He is innocent, but abandoned by his own brothers; he is innocent in the seduction, but is sent to prison. His innocent interpretation of the dreams is once again true: one prisoner dies, one is exonerated. He does not seek favoritism, only the truth in all innocence. Third: Guilt. Judah says at the discovery of the silver goblet in Benjamin’s bag that their guilt has been uncovered and now God is punishing them. That is the first acknowledgment that what they did to the innocent Joseph was radically wrong. But with guilt comes repentance: all ten offer to become slaves in order to save Benjamin’s life and return him to their father. They know they did wrong and got away with it, but no longer. Fourth: Reconciliation. 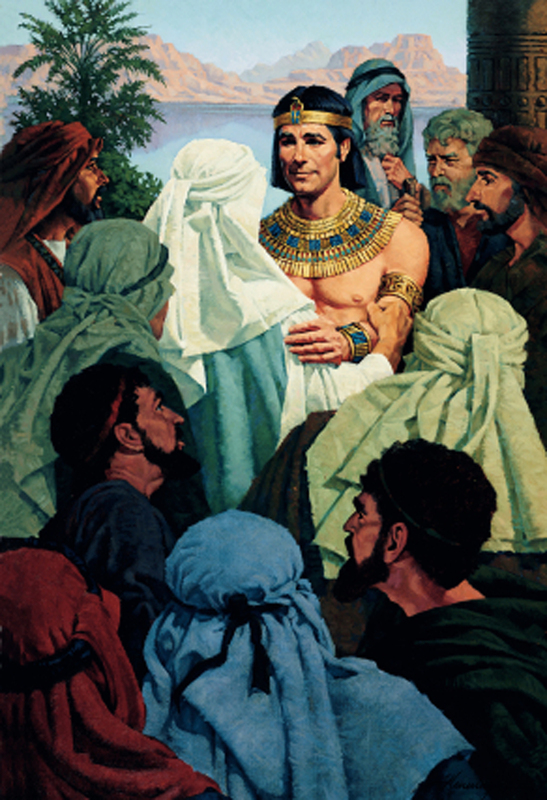 Joseph restores them to himself, forgives them, embraces them, and points out that their sin actually worked to the salvation of the entire tribe of Jacob: all those people in the tribe, the servants and herdsmen, all their families, all their animals will be saved because Joseph was sold. Fifth: at the end of Genesis, there is the promise of fulfillment of God’s promise: that they will inherit the land promised by God to Abraham, and they will be delivered out of Egypt. Joseph obviously is seen as a forerunner of Jesus Christ. 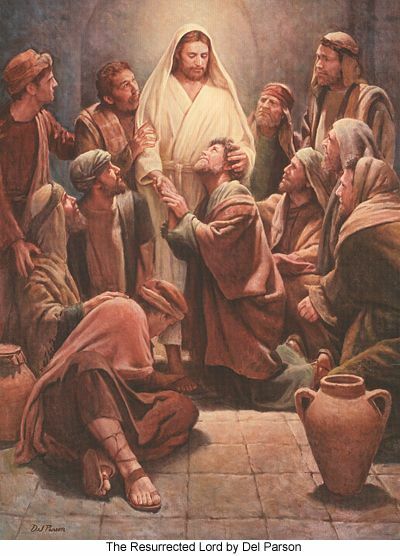 Joseph is innocent but suffers; Joseph is sold as Jesus was sold; those who were guilty ultimately are faced with their sin and the opportunity for forgiveness, as Jesus offers us His forgiveness; Joseph brings salvation to the people God has chosen through what he does for them, as Jesus brings salvation to all humanity. It’s up to us to imitate Him, and to take hold of what He offers us every day, not only in Lent.